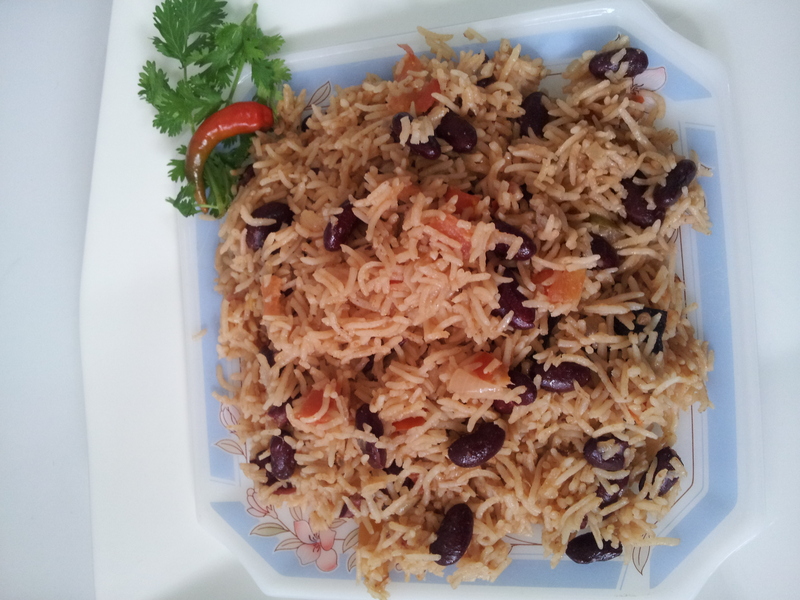 RED BEAN PULAO | My Cooking Diaries "CooklikeCecilia.com"
A very delicious and satisfying one-dish meal accompanied by raita or yoghurt! Wash and drain rice and let soak for half an hour. If using dried beans they need to be soaked in water overnight and then boil or pressure cook them. If using canned beans, drain and reserve. Heat the ghee in a vessel, add the whole garam masala, onion and green chillies and fry till light brown. Then add the ginger garlic paste and fry till water evaporates, add tomatoes and fry till soft. Then add the cooked beans, salt, chilli and coriander powders and fry few seconds, then add the coconut milk and water, check seasonings and bring to a boil. Add the drained rice, mix well and cover and cook 5 minutes. Open the lid, mix the rice well, cover and continue cooking till the moisture is absorbed. Serve hot. Garnish with fresh coriander if desired.